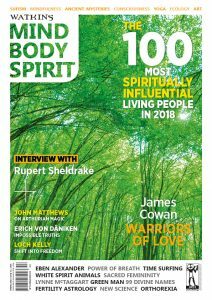 We are delighted to share with you Watkins’ 2018 list of the 100 Most Spiritually Influential Living People – spiritual teachers, activists, authors and thinkers that change the world. 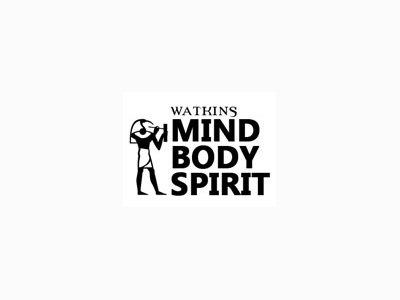 The list comes out in print in the Spring issue, #53 of Watkins Mind Body Spirit magazine on February 2 (you can get a copy of this issue here or take out a full year subscription here). Watkins bookshop in London has been encouraging spiritual discovery and providing seekers with esoteric knowledge for over 120 years. In 2011, we started publishing the 100 list with the goal of celebrating the world’s living spiritual teachers. Our special magazine issue features 16 pages dedicated to interesting details, bios, photos and highlights about each person on the list. As you read through this list, we hope that you feel as inspired as we are by each individual’s significant impact. To discover more about each spiritual teacher, get a copy of issue 53, Spring 2018. 3) The person is frequently googled, appears in Nielsen Data, has a Wikipedia page, and is actively talked about throughout the Internet By taking into account the amount of times that a person is googled or how many times their Wikipedia profile is viewed, the list gains a highly democratic and transparent parameter. Additionally, we were highly selective in creating this list and did our best to remove candidates who spread messages that were hateful or intolerant. Ultimately, this list is meant to celebrate the positive influence of today’s spiritual teachers.